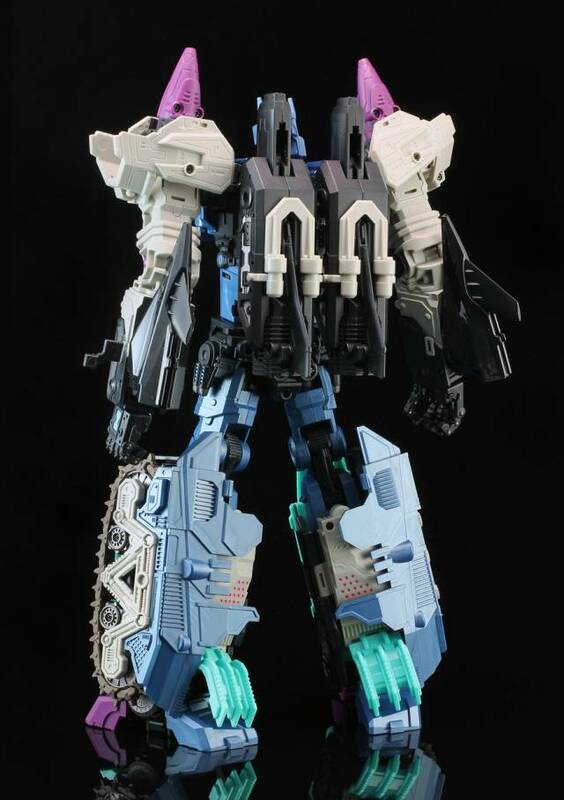 Mastermind Creation's R-17 Carnifex stands at 12"/31.5CM from head to toe and is Masterpiece Scaled. 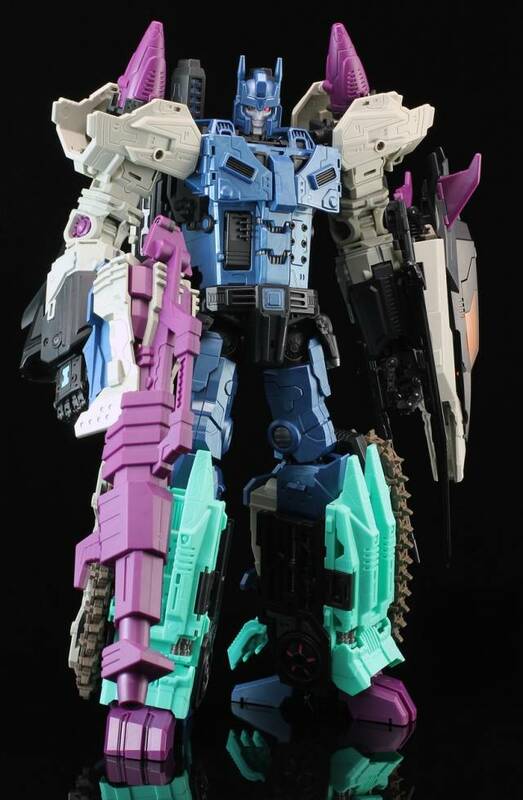 Being a massive butcher, he will be able to rival combiner figures such as Feral Rex. 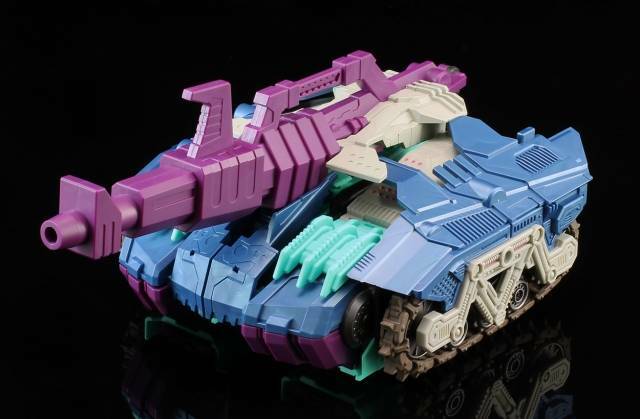 His body can split-transform to a jet and a tank, these 2 vehicle modes can also combine to form a larger spaceship. Tanks is 26CM/10.2" long and Jet is 34.5CM/13" long. Includes one extra head, comic book and bio card. Other figures shown sold separately. The transformation at first takes a while to master but it comes as second nature after you do it a few times. Simply awesome a must buy! I was a little disappointed that the manufacturer had a defect but, TFsource came through in a big way! Highly recommend them and once the problem was taken care of amazing figure! I finally got this remarkable work of art! Everything was so well thought out, by the designers/engineering team at MMC. Immediately mesmerized my daughter, and my girlfriend. They both had so many questions and compliments for this figure. This is one of the top 10 transformers ever made. weird shoulder transformation (take your time with it). OH my god. For weeks and months i was anxious i would miss this guy and he would be sold out entirely when i realized he came out. Mom preordered in August, and he was expected be in stock in October, but he did not arrive until december. It made me a nervous wreck. Hopefully MMC will create a figure based on Trepan to go with him. I can dream i guess. Very happy with what I see, well detailed and looks amazing. 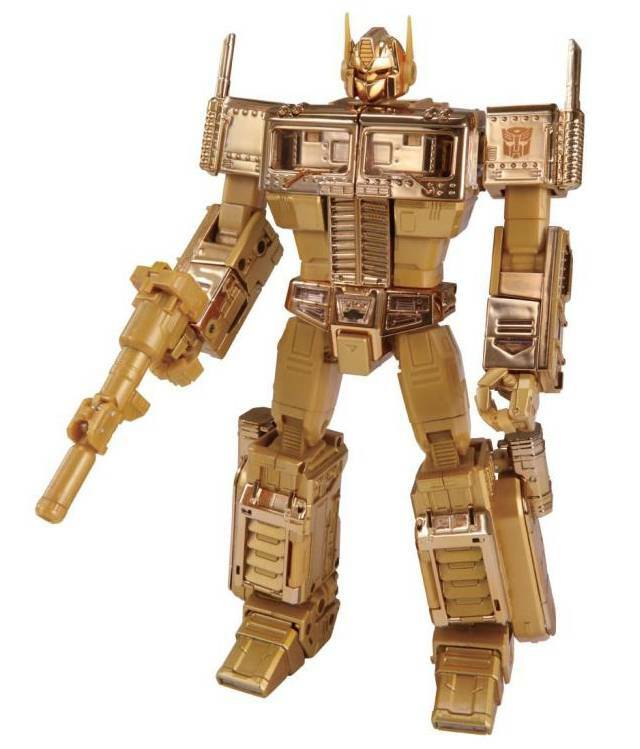 While I'm not a hardline G1 fan, I will admit that I prefer the G1 look for Overlord. Giga and Mega look great and both powermasters lock right in place no problems what so ever. I was disappointed that the new head will not lock in with the backs of the other heads, as I had planned on mixing and matching the back of the original with the new head sculpture of the add on kit. But if that's my only gripe it's not really a problem. The guns are also a great addition to the piece whether it's in base mode or robot mode. I mean who doesn't want to put guns on a bots legs? Great add on kit! 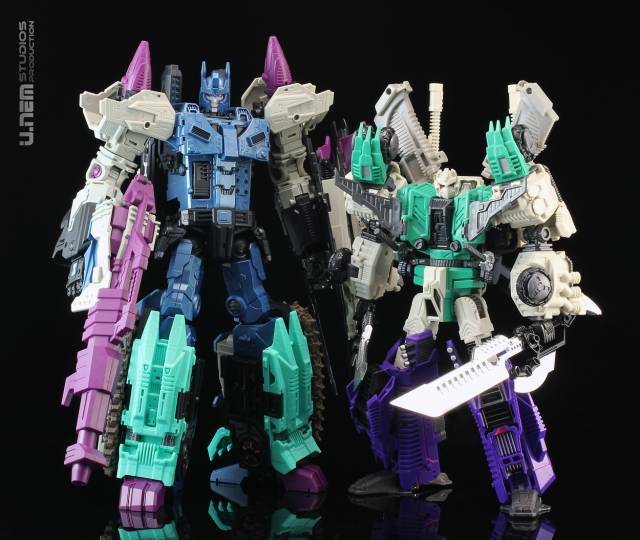 Mastermind Creations is clicking on all cylinders I look forward to future offerings from this top shelf company. Amazing design, sculpt, and plastic quality. It'll be hard to beat this Overlord. So much expression packed into this figure. MMC did an amazing job. Excellent figure, though not quite perfect. 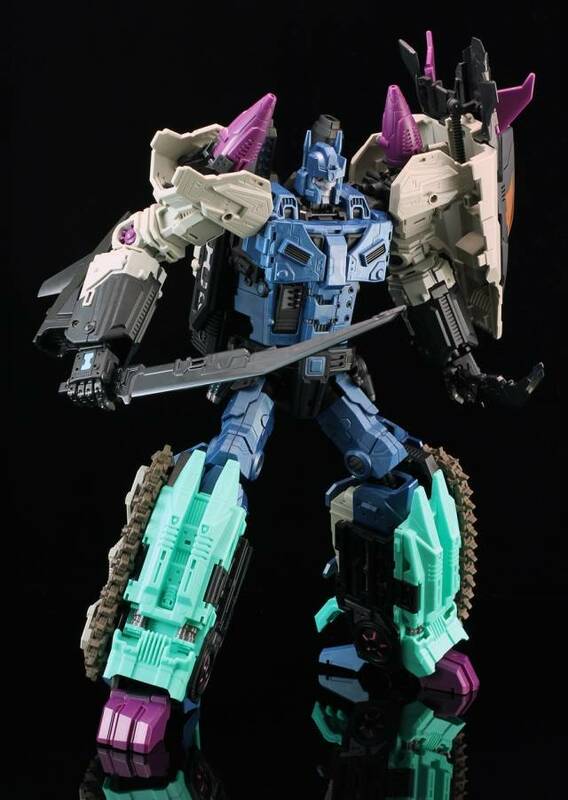 I'm not even a huge Overload fan but I do think Carnifex was worth his rather hefty price tag. You can really tell a lot of love and thought went into making this figure. It looks great in robot mode and separate alt modes, and robot mode articulation is both great and very stable even in some pretty wild poses, even while holding his huge rifle. The shoulders are more complex than I feel they needed to be. The youtube review by Wotafa makes transforming him the first time much easier so I highly suggest it to avoid frustration. The complex shoulders and a couple of little parts inside his arm shield used to connect the shield in different ways that come off rather easily and have no use in alt modes is the only thing keeping me from giving this figure 5 stars. There are so many amazing touches with this figure, It comes just short of five stars for me. First, the positive, the separate vehicle modes are terrific. the sharp rubber treads on the tank look great, even if they are a bit thin. I don't care too much that the gun turret can't be rotated. The jet's landing gear are big, solid free pieces with free rolling wheels that fold in nicely. And making the leg connectors double as moveable thrusters is a stroke of genius. When we get to robot mode, what can I say, he's an awesome and imposing figure as far as i'm concerned,looking like the master of ceremonies for some kind of violent explosion filled robot cabaret. He even does a little bit of a "lean forward" movement through joints in the upper torso. Great joker-like head sculpt although paint flaking worries me slightly and it looks a bit flat when metallic paint might have been cool and overall a bit more harmonious with the rest of the figure. The black and blue plastic has a lovely shine to it that isn't evident in the photos, great ratcheting joints. The panoply of weapons in his torso are fun and it is at once menacing and hilarious to pose him as if he is just letting loose with all of them at once. 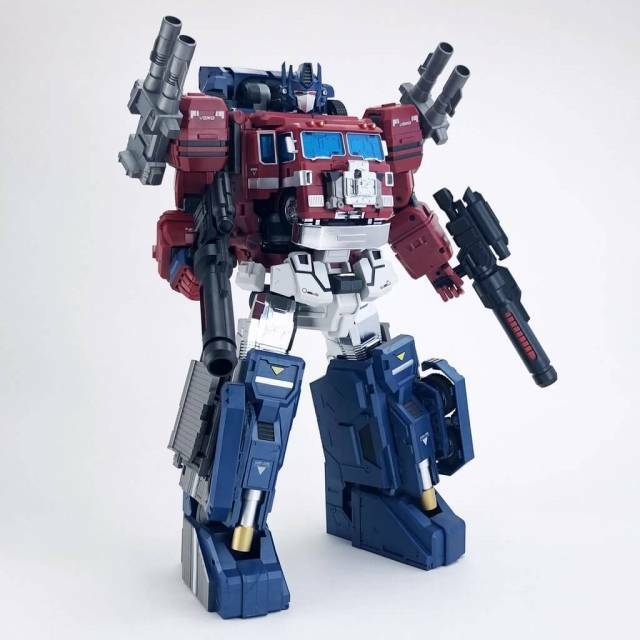 I can't wait to pose him in sword fights with either FT dibots or with MP Star Saber. The combined vehicle mode feels unfinished. From the pieces on the sides of the tank it almost seems like there were originally going to be larger wings that fold out, but in any case there easily could have been. There is some suggestion of additional thrusters, unpainted in the backs of the tank halves, but the overall effect feels like a plane that has been converted into a land-bound tank for some reason. 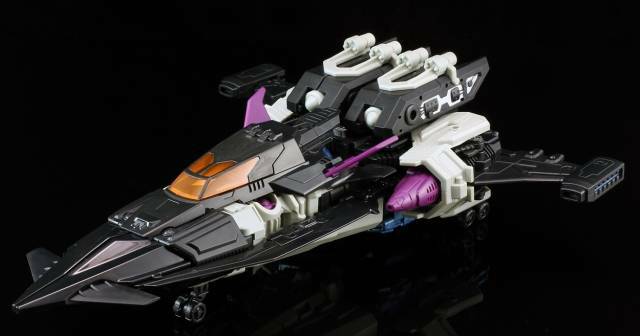 I know the original toy had it as an afterthought, but in 2016, I would have liked all the complicated work of combining him into this mode yield a thing that looked more like a superplane/space ship. It isn't all bad, as the way the wings for the separate plane fold into tail fins for the combined tank-ship prevents it from just looking like the plane with tank pieces tacked on. The gun is great and well designed, but the sheer ungainly chunkiness and lack of texture has me thinking of something out of Transformers Animated. 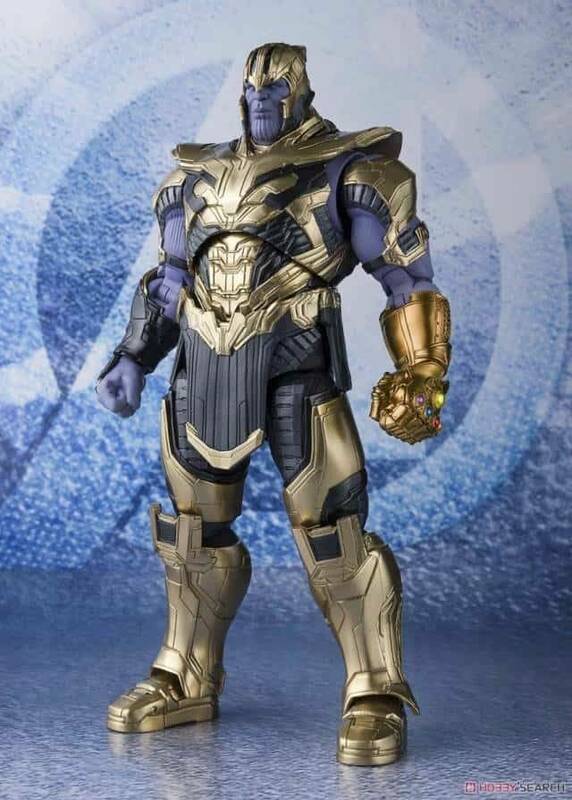 When you look on the figure at the shoulder pads, the side panels, even the inside of the legs you see all these mechanical details but then the gun looks like a graphic from an old video game. Base mode- If this interests you, it's not that great and you'll have to find instructions on line. They're not included even though there are specific parts on the figure to create it. 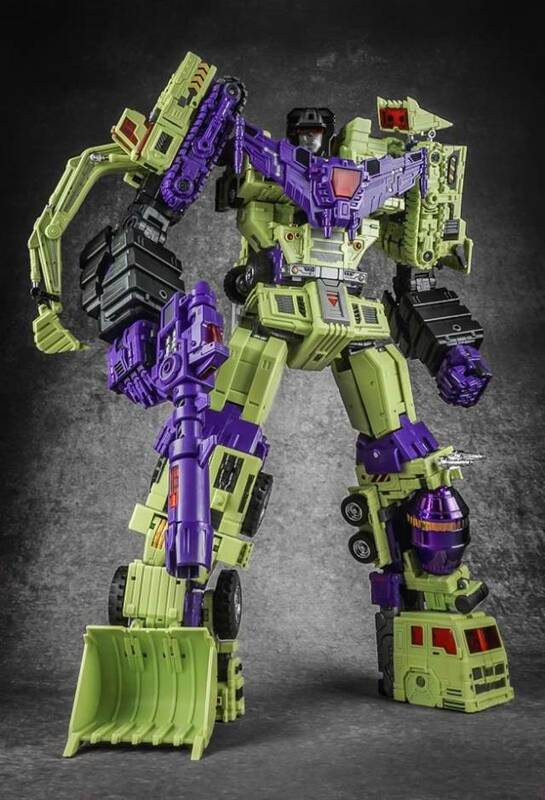 Who is this supposed to be a base for if he isn't a powermaster? 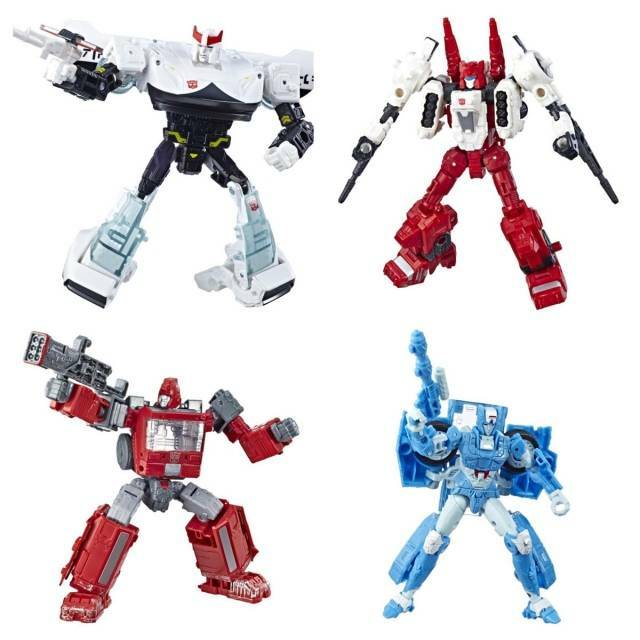 Does MMC plan on a previously unnanounced series of micromasters? Is this a pre-tool for other editions?He looks deserted! 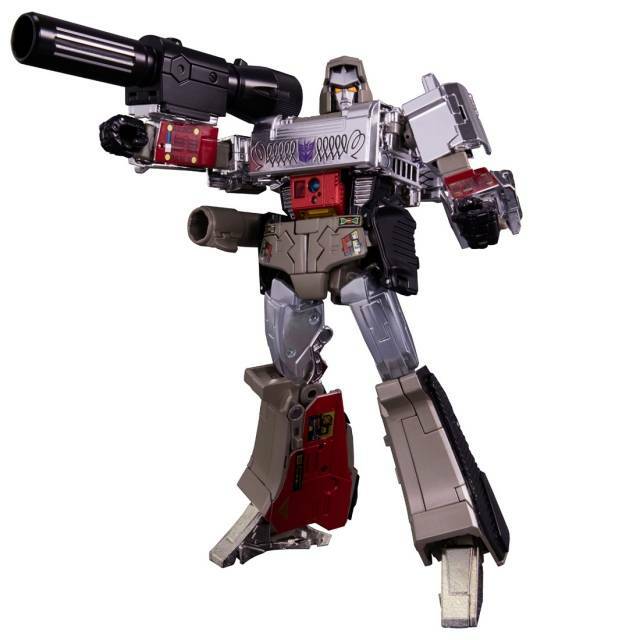 Lastly, the transformation is just a bit too complicated and if you own Cybertron/Galaxy Force Megatron, it owes something to that figure transformation and proportions wise, moreso than to original Overlord. (the way the arms fold up into the nose of the plane) They almost look like brothers to the point that I want to dig him out of storage to pose him nearby. 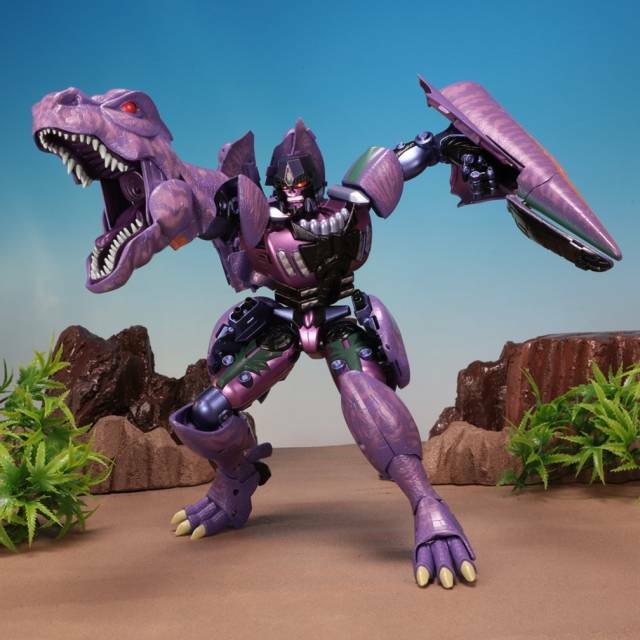 Carnifex will look amazing on any shelf, but I wish his transformation into anything but robot mode wasn't a lot of effort for a little payoff. The quality is top notch for this con, he's easily one of my favorite cons. I bought him to put him beside my warden figure (Fortress Maximus). He can be a little difficult to transform at first, but once you get it down, it's very easy. Til all are one!